Top 20 Reasons Why a Startup Should Choose WordPress Website? WordPress celebrates its sixteenth birthday this May 27th, it as other reasons to celebrate as well. With over 41.7 million new posts and 60.5 million new comments, each month is created by using WordPress this is the other reason for celebrating WordPress birthday. It is not that a big surprise for the marketers and developers alike and recommends WordPress to their colleagues and clients. One of the questions that we usually get is: Why should I use WordPress? Is not my old site good enough? Why do I need to switch to WordPress from another platform? Some other questions are: Why WordPress is so famous? Why people choose it so much? Though people have so many options, why every fifth website created is on WordPress? Does it have any limitations that you may not be aware? Is it good enough to be your final choice? Is WordPress is just a blogging tool? If you’re asking these questions, then you are in the right place. Here in this blog, we will go through the principal reasons for choosing WordPress for your business. Due to its robust features, many of the top brands use WordPress to power their websites including Time Magazine, Facebook, The New Yorker, Sony Disney, Target, The New York Times and more. Every website, even it is a big or small, needs a good Content Management System(CMS). While designing a website, you want the best digital publishing system available in the market as there are various platforms out there that you could use. However, WordPress still ranks as the best option for website design. So, why should everyone use WordPress for website design and development? Many expert studies indicated that over WordPress is powering 26% of the websites worldwide, with the numbers increasing daily. It has dramatically evolved from just being a blogging platform to an efficient content management system. If you are still sitting on the rail, consider the following reasons why WordPress is good switching over to if you have not already. WordPress never consider whether the business is a commercial or personal blog; the fact is that WordPress doesn’t charge a penny is the primary reason to use it. Even they don’t charge any extra for your site if it gets more traffic than you anticipated. As WordPress is open source, you can customize your WordPress site either in your features or look. 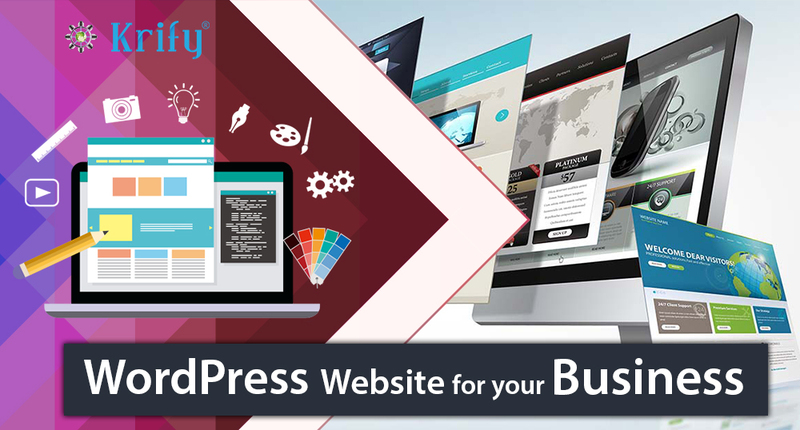 WordPress meets all the demands of the business owners with its flexible framework that allows the designers and developers to build and transform layouts and applications. As no business owner wants their site to get stuck with cookie-cutter sites and in such case, WordPress will help you in the best way. WordPress theme system applies to implement attractive designs quickly. It is flexible enough to accommodate all the needs through its extensions and plugins. Moreover, WordPress is at heart thriving freelance development community. Ranking in the top level is the dream of every business owner, and this came true with the use of WordPress site for your business as the major search engines attract it. The primary cause behind this is that it is written using simple compliance and high standard clean codes. The WordPress sites are highly responsive and highly logical design make search engines have a particular consideration for choosing WordPress. The platform provides each page and posts individual Meta tag keywords, enabling for more precise search optimisation. Once installed start using WordPress no need of any configuration. The customisation can be done to the theme and also the plugins that you are interested, as WordPress had a wide range of functionality -augmenting plugins that are available for both paid and free. Each theme usually has a layout or design for the frontend of the website and the plugin showed in the WordPress gallery is accompanied by the individual user reviews. WordPress is one of the simple and very useful that it mostly used by big and small companies. The CMS is as user-friendly as it grows and very easy for new babies to learn, not only that the platform is unique and responsive. WordPress is filtered, tested and improved. In the process, it has unfolded into a world-class web publishing system. Since WordPress is currently the most substantial blogging and website-developing platform in the world, it is vital for you to your content from spam attacks. WordPress sites are secure one of the most targeted because there are so many of them available. Due to its popularity, WordPress became an interesting one to get hacked. There are many other reasons why WordPress is beloved is the security measures the developers take to preserve the trust of its users. The WordPress team continuously will update the CMS and also the plug-ins that integrate with it. However, the users should use caution and only download plugins from trusted sources, preferably while directly logged in WordPress site itself. Anyway, Google is now penalising the sites that are not mobile friendly by just ranking them at lowest position on their result pages. With WordPress, you need not to have overhaul your entire site to make it accessible on tablets and smartphones. Many WordPress themes are designed and developed to be responsive meaning your customers won’t be challenged to use your website on their smartphones. WordPress also has an option for the sites to view in the mobile view for the themes that are not responsive. WordPress is most granted for flexibility as it meets the demand of many users with its flexible framework that allows the designers and developers to create, modify layouts & applications. WordPress combined with user-generated extensions, websites are not restricted by enterprise extensions. WordPress has most flexible enough o accommodate all the needs through its extensions and plugins; you can use the CMS for a small business website, personal blog or e-commerce website. Having WordPress site people can post comments with their social media accounts. It is most helpful for the people on social media to find and interact with you using accounts they already have established. Maintaining the blissful Content Management System on a whim via any of the free or premium themes available, either through WordPress or on third-party sites gives your website a refreshing look and keeps your company unique in the eyes and minds of your consumers. While the customization options and plugins available can be overwhelming, there are many places to reach out to for the help – one of them is that a large group of people utilizes it. WordPress is a host to a good community panel that is managed by employees and the community. There are loads of help to be found online. Even better, the conferences they provide allow users to help each other out, creating a very interactive community. As alluded to earlier, WordPress integrated with an automatic updater for security purposes. Even the CMS will get notifications if there are any new updates are available for the plug-ins. Some websites get the lowest bounce rate as they integrate with plenty of multimedia. WordPress allows you to upload your videos or by adding embeddable code through the HTML areas. Even you can add audio files, imagery and other forms of media to keep people interested and browsing your site. WordPress is free CMS as it is the user-friendly that can operate as an open source software; you bypass the requirements to hire web technician and designers. WordPress makes it easy for you to schedule the things you publish that helps you to write all the content at the single time and have it posted at particular times of the day, throughout many days, this is most comfortable if the majority of your traffic tends to consult during a specific block of time. WordPress dashboard looks the same to everyone and every platform and eliminates the confusion which can support you to add daily stats, list of new posts, recent comments, news updates and what not. No patience till you reach the laptop or desktop to post any material, then no need to expect if you have the WordPress app in your smartphone. You can add the content from anywhere and anytime! If you are not the one to maintain the WordPress site. WordPress makes it easy to assign different access roles for different people. Some of the part plugins WordPress Codex Provides to the WordPress website owner. Super Admin – Who has the total access to website features. Admin – Who has access to the admin features. Editor – who can publish their posts and approve or remove the posts of other users. Contributors – can manage and write their posts but need to rely on the administrator to approve them. Adding testimonials on your website about the services you provide is a good tactic. Several plugins available that make the testimonial to publish easily. Some of them offer widgets that show reviews about your business on a scroll. We must say thanks to this WordPress open source coding and innovative developers. WordPress is kept growing as the years go. The CMS is keeping evolving for the better, as WordPress team is adding new features, developers are creating new plugins, or coders have programmed new features to customise the site. With the right type of website host, you will be able to post your content that will garner more attention correctly. As everyone wants to spend all their working time on structuring online domain, take all these taken for consideration during website development; this is the reason that WordPress is an excellent tool for beginners. WordPress is the free, responsive, secure and highly customizable. In case if you are looking for a digital publishing platform with the ease of use, try WordPress as it will be a quick win for cultivating better consumer experience. Krify have high compentency in developing the WordPress Websites with the best WordPress themes. 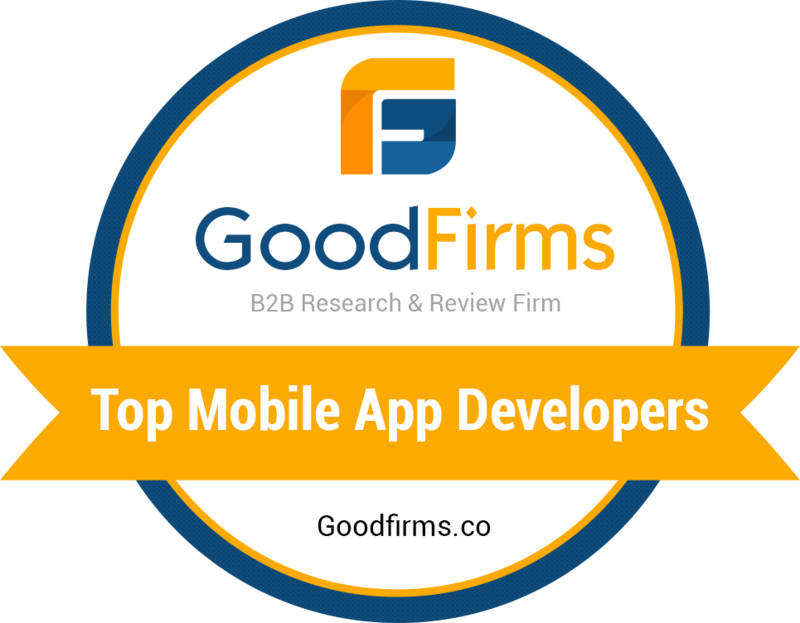 We are recognised as the Top WordPress Website Development Company in India and UK have well expirenced WordPress Developers. Contact us for more details.